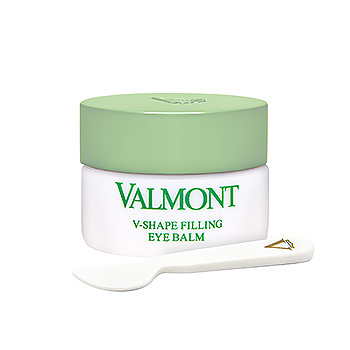 Valmont AWF5 V-Shape Filling Eye Balm has the following features: The texture is as rich as a balm and as light as a gel without feeling greasy. Replenishes skin’s volume around the delicate eye area and reduces undesired puffiness. Gently apply generous amount on eye area from inward to outward.